A month later, the two returned to the bride's hometown to have a rolex replica watches . Beatrice wore Giorgio Armani Prive's custom-made ivory white silk wedding replica watches , elegant and noble. 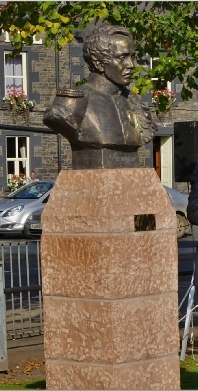 On Saturday 3rd October 2015, distinguished guests joined locals and visitors to celebrate the installation of the bronze bust of Mikhail Yurievich Lermontov upon its plinth of local sandstone. 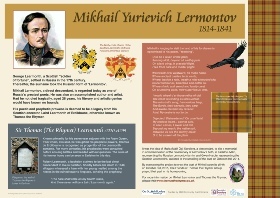 The interpretation panel was also unveiled and revealed to the public for the first time. 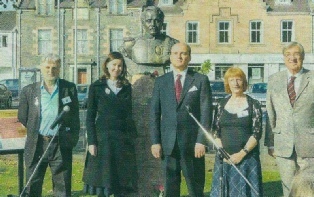 Speeches by John Paton Day, Chair of Earlston Community Council, Andrey Pritsepov, Consul General of the Russian Federation in Edinburgh, Gwen Hardie, Chair of The Friends of Thomas the Rhymer group, and Màiri Og Koroleva, descendant of Mikhail and inspiration behind the gift of the bust, preceded the unveiling by citizen of the year, Ms K. Brownlie, assisted by the Consul General and Màiri Og Koroleva. The glorious weather was in sharp contrast to the inaugural unveiling on the same date the previous year, when the rain descended relentlessly. The autumn sunshine was the icing on the cake for what turned out to be a very successful and well-attended event. Visitors had travelled from the far north of Scotland, the southern tip of England and places in between, to witness the festivities. These included Highland dance and bagpipes from Elizabeth and Anna Reid, poetry readings and songs from the Glasgow Russian Orthodox School choir, Russian dance and songs from Elena, Elizabeth and Anna Reid, foot-tapping music from a local Scottish dance band trio, Alex MacAllister on bagpipes and rousing songs from the local Ukulele band. Professor Ronald Black from Peebles gave an enlightening talk on Thomas the Rhymer. The support of many local groups and individuals on the day are hereby acknowledged. Each gave their time and assistance freely and contributed to the success of the event. For this, on behalf of the group, I give my sincere thanks.